Established in 1999, Golden Radio International was a pioneer in internet radio, bringing you quality programmes via the on-demand format so you could listen at your convenience. We progressed over the years to broadcasting live evenings and weekends, and eventually we syndicated our most popular shows, Robin Dee's BIG Country and The Overdrive 192 Rock Show to radio stations worldwide on internet, DAB and FM. ​The station is currently mothballed. Do you remember Radio Caroline in 1986-1987 when Tom Anderson launched Caroline Overdrive on the 963 kHz frequency after the Dutch station Radio Monique closed down for the evening? Overdrive carried a wide selection of "alternative" music, the only apparent rule being that it should provide an alternative to Caroline's main programming on 558 kHz. The presentation was uncluttered, with a minimum of DJ chatter and few jingles. The service had been described as being similar to a John Peel show except that it ran all night. Tracks were played from Emerson, Lake & Palmer; Yes; Pink Floyd; King Crimson; Genesis; Jethro Tull; Grateful Dead and Soft Machine to name but a few, resulting in some ground breaking radio and launching Progressive Rock to the masses. And, probably the most important thing about it for me anyway, it came from a ship on the North Sea - offshore radio at its finest. 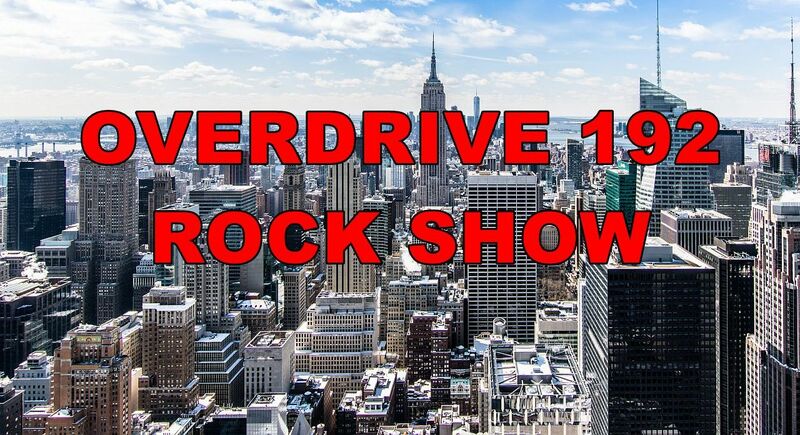 THE OVERDRIVE 192 ROCK SHOW tries to re-create these exciting days by specialising in Classic Rock, Progressive Rock and Alternative Rock. Our name? "OVERDRIVE" - obviously from the original Caroline Overdrive and used as a tribute to that wonderful service. "192" - no, not the wavelength, although that number was very significant in the world of offshore radio. This time it refers to the bit rate we broadcast at - 192 kbps in stereo. Tune in every Tuesday night from 8 till 10 pm, or Sunday morning 6 till 8 am UK time (UTC) at Delux Radio.